During the ‘angry autumn’ of 1932, in the depths of the Great Depression, unemployed workers in Dunedin reacted angrily when the Hospital Board refused to assist them. 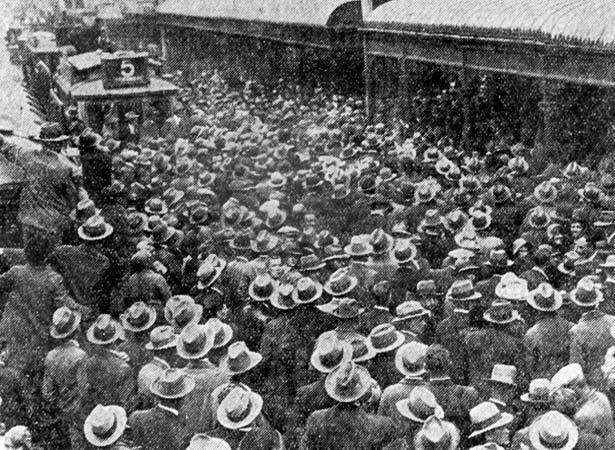 Trouble had first flickered in Dunedin in January, when a crowd of unemployed besieged a grocery store. It flared on 9 April, when protesters stoned the mayor’s relief depot and tried to storm the Hospital Board’s offices. They were dispersed by baton-wielding police. The Dunedin disturbances were repeated in Christchurch, Wellington and – most dramatically – in Auckland’s Queen St on 14 April. We have 8 biographies, 2 articles, related to Unemployed disturbances in Dunedin.